This is an excellent opportunity to purchase a true lifestyle business set in a stunning location. The Business Premises occupies an impressive detached building, with an imposing position with sea views. The property is arranged over 1 ½ floors with pitched tiled roof with the ½ storey housing the owners accommodation. The public bar also has its own entrance from the rear. The public bar is located to the rear of the property and is traditionally furnished with cushioned stools at the bar along with high backed seats & wooden chairs and cushioned wall seating. This area is wc facilities. The restaurant area is located beyond the bar to the front of the property with 20 covers and furnished with Werzalit tables and high backed cushioned chairs. This area has stunning sea views looking out over the sound. This area has wc facilities. The business benefits from a fully equipped commercial kitchen, prep area and wash area with all necessary equipment for a business of this size. The Taversoe offers 4 letting rooms. Each guest room has been individually finished to an excellent standard and offers comfortable VisitScotland 4star graded accommodation. 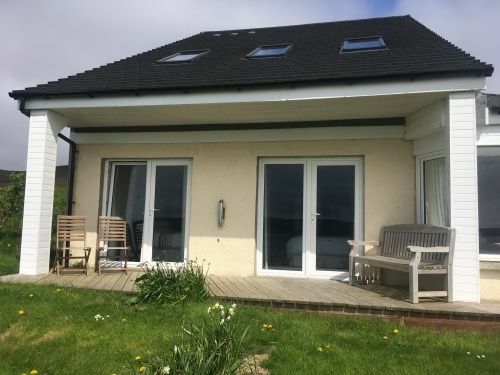 The letting rooms are located to the front of the property and all have a decked area with sea views. The rooms are made up of one twin, two doubles and one which can be either twin/double and they all have access to the garden, a television, tea & coffee making facilities, & a hairdryer. The guests also benefit from a guest lounge located to the rear. The Taversoe owners benefit from spacious private accommodation which is presented to a good standard and in keeping with the remainder of the property. The private accommodation is on the upper floor and consists of master bedroom with ensuite, open plan living area and kitchen. The property benefits from a large car park to the rear of the property. The property is held on the Scottish equivalent of Freehold. The business conforms to all fire regulations. O/o £260,000 are sought for the heritable property, fixtures, fittings and goodwill. Stock in trade will be additional at valuation. An inventory will be compiled to detail all items of a personal nature excluded from the sale; this will be available to all parties wishing to offer.